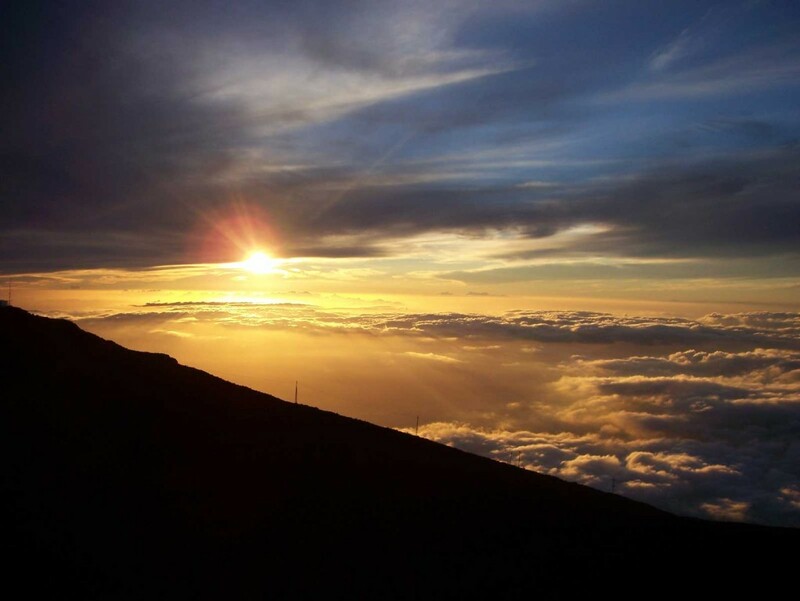 Haleakala translates to “House of the Sun,” and it’s clear to see why. This peak rises just over 10,000 feet above the island of Maui. To the west one can see the sun pass below the clouds to touch the ocean in the evening, and to the east watch the sun rise over dramatic peaks and cinder cones. Pack warmly to watch these events though, as temperatures on top of the rough mountain plummet to below freezing in both morning and evening.